We have featured a number of different iPod Nano watch straps here on Geeky Gadgets with some concepts and some in production already, however most only do one thing, hold the Nano as a watch. 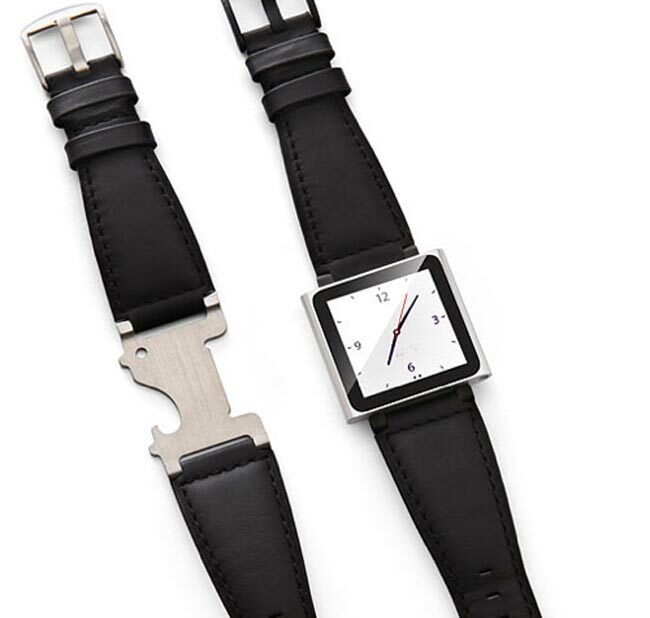 However a new iPod Nano watch strap sold by Think Geel also incorporates a very handy bottle opener, should you need one while at a holiday party or while out and about. Constructed from a leather strap and metal clip designed to mount your iPod Nano, its available in either a brush steel or mat black finish and is ready to buy on the Think Geek website for $50.